Another fun idea for your Super Bowl Party this Sunday, make your favorite burgers, but in the shape of a football of course. 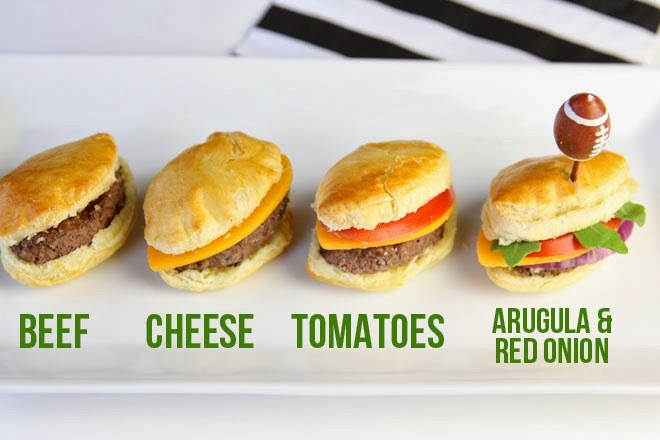 These Super Bowl Football Sliders are made with puff pastry buns which will make them even yummier. It really is all about the bun. Okay, maybe not ALL about the bun, but the bun has a lot to do with it! You can check out how to make football sliders over at Pizzazzerie!